Buy an Abundant calligraphy wall scroll here! The title says it all; this word is clearly understood in Chinese and Japanese as well as Korean Hanja. 靈氣 is the title of a healing practice that is now found throughout the world but with origins in Japan. Special note: Outside of the context of the healing practice of Reiki, this means "aura" or "spiritual essence that surrounds all living things." A Japanese person not familiar with the practice will take the "aura" meaning. Reiki is a technique for stress reduction and relaxation that also heals. It can be compared to massage but is based on the idea that an unseen "life force energy" flows through us and is what causes us to be alive. If your life force energy is low, you'll be more likely to get sick or feel stress. If your life force energy is abundant and flowing well, you become more capable of being happy and healthy. There is a lot of information available if you want to Google this term - my job is to offer the calligraphy, while you can decide if it is right for you. Note: We are showing the ancient (traditional) form of the Reiki Kanji. I have seen Reiki written with both the slightly simplified version and this more classic form. If you want the form of Reiki with the two strokes in the shape of an X on the second character and the modern first character, simply click on the Kanji characters to the right. Note: 靈氣 is also a Chinese word but in Chinese, these characters create a word that refers to a smart person or someone with high aspirations. It is not read as a healing method in Chinese. In Korean Hanja, this can be read as "mysterious atmosphere" by a Korean who is not familiar with the practice of Reiki (still has a cool meaning in Korean). 富裕 means prosperous, having abundance, well-to-do, or well-off. It's a simple word that suggests that "you have made it" in Chinese, Japanese Kanji, and Korean Hanja. 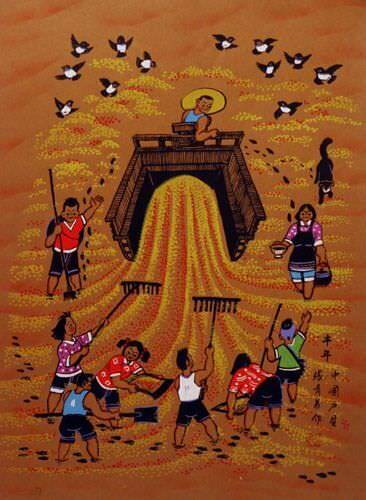 繁榮富裕 is a proverb about "Prosperity and Abundance." 繁榮富裕 present and reinforce the ideas of being prosperous, a booming economy, well-to-do, well-off, wealth, riches, and opulence. 繁榮富裕 is the ancient/traditional Chinese way to write this but most Japanese can fully read and understand it. It's also the correct form of old Korean Hanja (though few Koreans of the current generation will be able to read this). This suggests that you not give unwanted help or advice to someone. 余計 (yokei) too much, unnecessary, extraneous, abundance, surplus, excess, superfluity. な (na) connecting article. お世話 (osewa) help, aid, assistance. Some people may refer to this entry as Abundant Kanji, Abundant Characters, Abundant in Mandarin Chinese, Abundant Characters, Abundant in Chinese Writing, Abundant in Japanese Writing, Abundant in Asian Writing, Abundant Ideograms, Chinese Abundant symbols, Abundant Hieroglyphics, Abundant Glyphs, Abundant in Chinese Letters, Abundant Hanzi, Abundant in Japanese Kanji, Abundant Pictograms, Abundant in the Chinese Written-Language, or Abundant in the Japanese Written-Language. 12 people have searched for Abundant in Chinese or Japanese in the past year.